Once you’ve sorted out your own special look for the day, it’s time to take care of your ladies! But what all do you need for them to feel beautiful standing next to you? This has been on our minds here at Marti & Co. also, so we created this checklist for you! The is the foundation of the whole outfit. You can either do the statement here or have the accessories be your statement. Personally, we love a good statement necklace, headpiece or earrings. 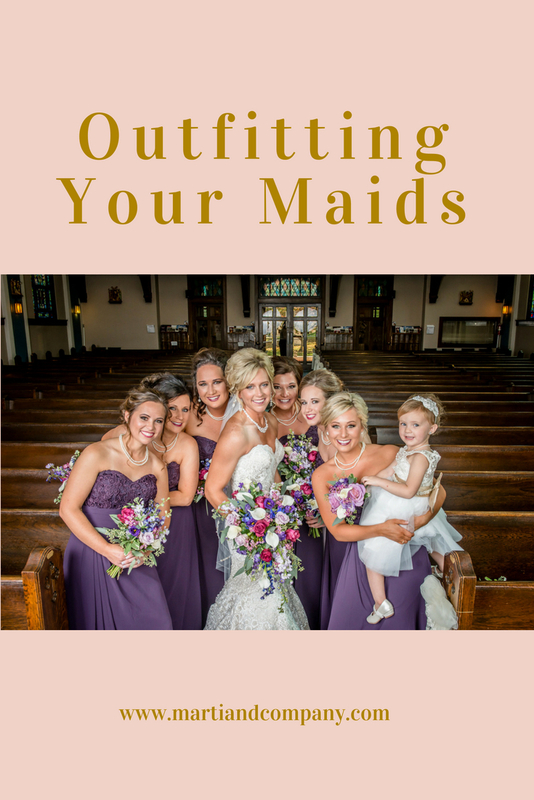 Make sure you check with your maids on their jewelry preferences, but you should plan for them to wear earrings and a necklace or bracelet, at least. Also, keep in mind you will likely need to buy multiples of the same piece if you are going for the matching style. 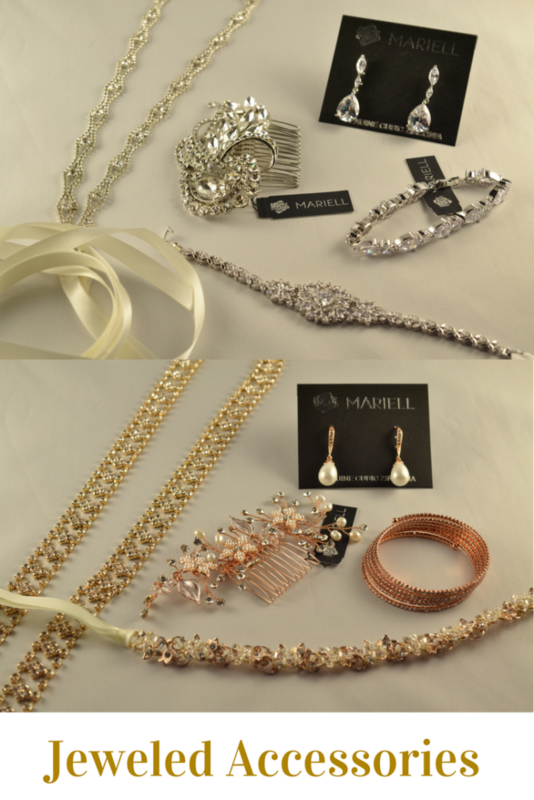 Some of our favorite places for bridesmaid jewelry: Mariell (available via Marti & Co.), Etsy and Kendra Scott. Whether you choose to go for matching shoes or letting the maids mix it up, make sure you keep their comfort in mind! They will likely be standing in these shoes and running around supporting you in these shoes 8+ hours. We are loving the block for that reason! This is a new piece to add to the Wedding day outfit for your maids to get ready in and also take some cute photos! 5. Wedding Day Survival Kit – We LOVE this idea. Have fun outfitting your maids. Let us know in the comment section if there’s something we missed and need to add to this list.